The author’s aim before commencing research on this consolidated Sino-Pak Bilateral Relations 1951-2018 article was to strive wholeheartedly and with utmost dedication to make an attempt for future scholars, academics, researchers, policy-makers and laypersons in helping understand the depth of the strategic bond between the two friendly nations. Care has been taken to not exclude any such bilateral issue, however, if there is an omission, it is unintentional. This paper primarily aims to discuss the treaties signed between the two neighbouring allies in the strategic part of the Asian region, Pakistan and China. Simultaneously, with relevance to the analysis of the subject matter and for contextual understanding, the author would also highlight the historically crucial Sino-Pak relations, as and when required. For the purpose of an elaborate discussion on the ‘treaties’, the key subject matter of this paper, and for a better understanding of the reader, the author would want to start the discussion by explaining the term ‘treaty’, itself. Treaties have been the most significant and oldest forms of international law, determining international relations between the respective signatory states. The origins can be traced back to ancient times when around 2550 BC The Treaty of Mesilim was signed between the two warring kingdoms of Lagash and Umma, for agreement over the demarcation of their borders for peace – this is recognised today as the oldest known legal document/ treaty. In AD 170, for the first time, a Roman jurist, Gaius contrasted and distinguished jus civile (national Roman laws) from jus gentium (international laws/ law of nations) in his introductory text book of legal institutions, the Institute of Gaius. A treaty is also the key source for the establishment of international rights and obligations between states. Treaties are also sometimes synonymously referred to as international conventions, covenants, international agreements, charters, final acts, memorandums of understanding, pacts, accords, exchanges of letters, or protocols. Article 3 of VCLT states that the Convention will only be applicable to treaties which are in written form. This is referred to as as pacta sunt servanda, “agreements must be kept”, which is an ancient Latin international law concept. Article 66 (b) of the Convention confers jurisdiction in case of disputes, to the International Court of Justice. Furthermore, treaties can either be bilateral (between two parties) or multilateral (between more than two parties). Another legal instrument intended to regulate treaties is the Vienna Convention on the Law of Treaties between States and International Organisations or between International Organisations (VCLTIO). It was an enhancement of VCLT (which is limited to treaties amongst states only), and was made available for adoption by states on 21 March, 1986, but it has not yet entered into force owing to the condition laid under Article 85 of the same Convention, requiring ratification/ accession by a minimum of 35 states. Soon after gaining independence from the British Raj on the 14th of August, 1947 and engulfed in diverse and numerous issues because of the then recent partition of the Indian subcontinent, Pakistan did not take too long to break ties with the Republic of China (Taiwan) to recognise the new People’s Republic of China (PRC), which was formed on the 1st of October, 1949 in the aftermath of the Chinese Civil War between nationalists led by Chiang Kai-Shek and communists under Mao Zedong, in which the latter had been victorious. On 4th January, 1950, Pakistan, by sending an official delegation, became the first Muslim and third non-communist country to have acknowledged the new government in Beijing. Subsequently, on 21st May, 1951, diplomatic relations between the two neighbouring countries were established, leading to the stationing and formation of ambassadors and embassies, respectively. However, Pakistan had already declined a Soviet invitation which represented the communist bloc, by accepting the capitalist bloc’s invitation represented by the United States of America (USA/ US), which had evidently portrayed Pakistan’s inclinations towards the Western superpower. Furthermore, an additional negative signal for the communist PRC came when Pakistan became signatory to the two US supported military pacts, Southeast Asian Treaty Organisation (SEATO) in 1954 and later the Central Treaty Organisation (CENTO) in 1955. However, assurances were made to the Chinese at the Bandung Conference in 1955 that Pakistan had only become a party to the two treaties due to security concerns relating to India and that Pakistan would not be a party to an anti-China union/ league. At the same time, border and territorial disputes remained in the limelight between Pakistan, China and India, regarding control/occupation of the area of former princely state, Jammu and Kashmir which shared a common border with all three countries. Tensions resulted in the Sino-Indian war of 1962, which ended up with favourable conditions for Pakistan by having influenced China’s otherwise neutral stance on alliances with Pakistan and India, to the improvement of stronger and friendlier relations with the former. In addition to the hostilities with India, China – while on the brink of facing isolation in the diplomatic world due to tensions with the US and Soviet Union during the Cold War – had to align with a smaller, ideologically different but strategically and militarily important, Pakistan, and vice versa. A turning point that further cemented the relations was when Pakistan supported China for a permanent seat at the United Nations Security Council and its One-China policy (under which the mainland and Taiwan would belong to One-China and Taiwan would be a part of PRC, not an independent state). On the other hand, China also changed its otherwise neutral position on the Kashmir issue to an approach which was in support of Pakistan’s standpoint on the issue. Subsequently, Pakistan’s earlier demand to China for the demarcation and settlement of the common disputed border was accepted, hence, China’s controversial maps depicting parts of the present-day Gilgit-Baltistan region as part of the Chinese territory which were in fact under Pakistan’s control, were agreed to be withdrawn. The series of initial events of mutual understanding between what were to become “iron brothers” led to the first formal bilateral trade agreement/ treaty, on the 5th of January, 1963, which resulted in both parties reciprocating the status of the Most Favourite Nation (MFN), focusing on the domains of commerce, shipment and trade. On the 29th of August, 1963, Pakistan and China signed the Air Transport/Civil Aviation Agreement, allowing the operation of flights from both countries into their respective territories. According to the Agreement, the Chinese could utilise Karachi and Dhaka airports for their flight operations, whereas the permitted airports by China for Pakistan were Canton and Shanghai, extendable to Tokyo subject to authorization by the Japanese government. Subsequently, on the 30th of April, 1964, PIA’s inaugural flight landed in Shanghai. On the 30th of September, 1963, Pakistan and China signed the second trade related treaty, the Barter Trade Agreement, accommodating the Pakistani export of raw jute against the imports of around 100,000 tons of Chinese cement. At that time China had become the largest importer of Pakistan’s cotton and had also offered Pakistan a $60 million long-term interest-free loan on 30th of July, 1964. On the 13th of February, 1965, direct telecommunications and radio connections were established between Pakistan and China. On the 19th of February, 1965, Pakistan and China signed an agreement which allowed the grant of a loan to Pakistan to be utilised for imports from China and for the funding of development plans. On the 26th of March, 1965, the Cultural Agreement was made between the two neighbours to promote the integration of citizens while also allowing them the issuance of visas. It was decided to increase cooperation in the areas of science, arts, media, journalism and culture, and the exchange of scholars, scientists and educationists. Subsequently, in June 1966, it was agreed to devise cultural and scientific exchange programmes on an annual basis. On the 14th of April, 1965, the Monthly Sea Transport Service Agreement, allowing monthly shipping/transport service operations between China and Pakistan, was signed by both countries. On the 16th of June, 1965, a Banking Agreement was signed between China and Pakistan for the management of transactions made from the $60 million loan amount, discussed previously. An agreement between the two neighbouring countries was also signed in the course of the 1965 Indo-Pak war for the supply of military weaponry. On the 23rd of June, 1966, Pakistan and China were parties to an agreement under which Heavy Mechanical Complex in Taxila was to be supplied with technical and mechanical contributions from China. On the 4th of July, 1966, a Trade Protocol was signed by China and Pakistan for the export of raw material from Pakistan, which included, amongst other things, cotton, jute, surgical tools and steel tools. On the 1st of August, 1966, a Sino-Pak agreement was signed which allowed East Pakistan to receive 100,000 tons of rice supply from China. In October 1967, a second agreement was signed by China and Pakistan for the purposes of maritime conveyance. On the 21st of October, 1967, Pakistan and China decided to revive the historic silk route and for this purpose an agreement was signed to promote the cooperation, trade and development of relations and infrastructure of bordering regions of Gilgit and Xinjiang. Subsequently, construction of the Karakoram Highway was initiated. In April 1968, for the purpose of exchange of goods worth PKR 11 million, another Barter Agreement was signed. On the 7th of August, 1969, trading companies were established on both sides of the adjoining Gilgit-Xinjiang border to administer trading activities over the Silk Route. In 1970, for the purposes of economic and technical cooperation, an agreement was signed between the two neighbouring countries. In May 1970, Pakistan and China signed yet another barter agreement allowing the exchange of products worth PKR 116 million. In November 1970, China and Pakistan signed an agreement under which China had to provide an interest free loan of around $200 million to Pakistan. In July 1971, an agreement was signed between China and Pakistan, for the purpose of trading of goods through the Silk Route via Xinjiang and Gilgit. However, Pakistan, decided to withdraw from the membership of SEATO in 1972 and subsequently from CENTO in 1979 as a reaction to the absence of military support by the US and other Members of the Organisation to Pakistan during the 1971 Indo-Pak war. At the advent of separation of East Pakistan in the aftermath of the 1971 Indo-Pak war, Bangladesh was created. China, by using its veto power for the first time, and as a gesture of support for Pakistan, refused to recognise Bangladesh’s independence by disallowing their entry to the UN. China recognised Bangladesh in 1975, only after Pakistan’s recognition of Bangladesh in 1974. Pakistan also played an important role in establishing diplomatic relations between PRC and the US, by arranging the US Assistant to the President for National Security Affairs Henry Kissinger’s secret visit to the PRC in 1971 and later the US President Richard Nixon’s visit in 1972, bringing an end to the several years of aggression between the two nations. In 1972, Pakistan and China signed a three-year commodity agreement for trading purposes. In May 1972, another trade agreement was signed for the bordering regions of Xinjiang-Gilgit. In June 1972, yet another trading agreement was signed between China and Pakistan. In December 1972, China and Pakistan signed an agreement by which Pakistan had to export cotton yarn and textiles, amongst other items, to China. These exports had an accumulative value of PKR 40 million. In July 1973, an agreement was signed between China and Pakistan, for the purposes of joining efforts to expand and carpet the Karakoram Highway (KKH) from Hellehgush to Thakot. The Highway was eventually completed and made operational in June 1978. On the 25th of October, 1975, another trade protocol was signed by Pakistan and China. In November 1975, an agreement was signed between Pakistan and China according to which China had to supply to Pakistan textile machinery worth $ 3.5 million. In May 1976, Pakistan and China signed two agreements for collaboration/ cooperation in the fields of science, technology and military. In June 1976, Pakistan signed a nuclear agreement with China for technical collaborations. In 1982, China and Pakistan established a Joint Commission for collaboration in Economic, Technological and Trading activities. In August 1982, Pakistan and China signed an agreement to make the Khunjerab Pass, located at the Sino-Pak border, operational. In July 1984, another barter agreement was signed between China and Pakistan to set the trading value at $15 million per year for both parties. In 1986, China and Pakistan signed an agreement for the joint production of the K-8 ‘Karakoram’ jet trainer/ light attack aircraft. Subsequently in 1994, six aircrafts were delivered to Pakistan. In September 1986, China and Pakistan signed an agreement for a peaceful utilization of nuclear energy which also included the operation, design and construction of nuclear reactors. This Nuclear Cooperation Agreement is also included the supply of four Chashma nuclear power reactors to Pakistan. In 1987, Pakistan and China signed an agreement to establish a joint venture for the purposes of formation of a factory producing televisions. In October 1988, an agreement was signed by both neighbouring countries under which China had to aid in the exploration of the Saindak mining project in district Chaghai, Balochistan. On the 12th of February, 1989, Pakistan and China inked the significant Bilateral Investment Treaty (BIT) to promote, safeguard and secure investments from both sides of the border. In April 1989, Pakistan and China became parties to an agreement, for collaborated efforts to explore and develop mineral and water resources in Khyber Pakthunkhwa (former NWFP) and Balochistan areas. humanitarian support of Afghan refugees in Pakistan, amongst others. In December 1989, an MOU was signed between the two neighbouring countries for collaboration in research and development of technological dynamics in the areas of science, defence and industry. In 1990, Pakistan and China signed an agreement under which China had to supply 325 MWe Chashma 1 nuclear power reactor in Punjab. In January 1990, Pakistan and China reached an agreement to collaborate in developing, designing and manufacturing the MBT 2000 Al-Khalid tank. Subsequently, by November 2000, Pakistan was able to manufacture the tank independently at Heavy Industries, Taxila. In June 1999, an agreement was signed between Pakistan and China to jointly develop and manufacture the Pakistan Aeronautical Complex (PAC) JF-17 Thunder [or CAC (Chengdu Aircraft Corporation of China) FC-1 Xialong Multirole Combat Aircraft] to replace the Pakistan Air Force’s existing aircrafts, Dassault Mirage III/5, Nanchang A5 bombers and Chengdu F7 interceptors. The aircraft was formally presented to the nation on the 23rd of March, 2007, on Pakistan Day. Subsequently, PAC was able to manufacture the aircraft independently in November 2009. In the year 2000, Pakistan and China signed an agreement under which China had to assist Pakistan in the construction of the 330 MWe Chashma 2 nuclear power reactor. On the 12th of May, 2001, Pakistan and China signed an MOU through Pakistan Telecommunication Co. Ltd. and ZTE (Chinese company) respectively, and six other agreements which included, amongst others things, cooperation on tourism, technical and economic collaborations, Saindak cooper-gold mining project lease, supply of passenger coaches and locomotives for Pakistan Railways and an an oil pipeline. collaboration on marine science and technology. In November 2003, Pakistan and China signed the Preferential Trade Agreement (PTA) and the Joint Declaration on Direction of Bilateral Cooperation. In November 2003, Pakistan and China signed the extradition agreement which was ratified on the 12th of December, 2007. In December 2004, Pakistan and China signed seven agreements focusing on further promotion of bilateral trade, establishment of combined agricultural industries and agreement for the formation of Pakistan-China Joint Investment Company and Joint Infrastructure Development Fund. Pakistan also declared Free Market Economy status for China. On the 5th of April, 2005, Pakistan and China signed a Treaty of Friendship, Cooperation and Good-neighbourly Relations, which came into effect on the 4th of January, 2006. Its essence was to restrain both the countries from “joining any alliance or bloc which infringes upon the sovereignty, security and territorial integrity of the other side”. Additionally, an important notion for strategic relations was the “clear and unambiguous, categorical assurance by China to defend Pakistan’s sovereignty, independence and territorial integrity”. In October 2005, Pakistan and China materialised the framework agreement by signing a pact through the Ministry of Defence Production and China Shipbuilding and Trading Company, respectively, for the supply of four F22P frigates (warships) and six Z-9c helicopters with Transfer of Technology (TOT) for use by Pakistan Navy. The first warship, the PNS Zulfiqar-class frigate became part of naval fleet on 30th of July, 2009, which was manufactured at Hudong-Zhonghua Shipyard, Shanghai. Subsequently, as per the agreement, the fourth ship had to be manufactured at Karachi Shipyard and Engineering Works (KSEW). On the 20th of February, 2006, Pakistan and China signed a framework agreement to collaborate on energy projects, which also included a proposal by Pakistan for the 3300 km long Karakoram oil pipeline stretching from Gwadar to Khunjerab. In November 2006, Pakistan and China concluded an agreement to initiate free trade between the two countries. Subsequently, in July 2007, the Free Trade Agreement, a milestone achievement with regards to bilateral trade between the two countries became effective. a framework on the establishment of “trade and energy corridor” between the two nations. On the 20th of January, 2007, Pakistan and China signed an MOU for cooperation in defence manufacturing, including production of the airborne early warning surveillance system (AWACS). Subsequently, in 2008, Pakistan Air Force signed an agreement with China Electronics Technology Group Corporation for the joint manufacturing of four ZDK-03 Airborne Early Warning and Control System (AEW&C) Karakoram Eagle aircrafts. Work on the first of four aircrafts was completed in 2010.
cooperation between Pakistan Space and Upper Atmosphere Research Commission (SUPARCO) and China Great Wall Industry. In June 2007, Pakistan and China signed an agreement under which China had to supply two Type 054A Jiangkai II-class guided missile frigates (warships) to Pakistan. On the 19th of December, 2007, Pakistan and China signed an agreement for the construction of Neelam-Jhelum Hydroelectric Project located near Muzaffarabad, the capital of Azad Jammu and Kashmir. On the 21st of February, 2009, Pakistan and China signed the Agreement on Trade in Service of the China-Pakistan FTA, which came into effect on the 10th of October, 2009. On the 11th of November, 2009, Pakistan and China signed an agreement for 36 Jian 10 (J-10) fighter aircrafts (known as FC-20 in Pakistan) for use by Pakistan Air Force. On the 5th of February, 2010, Pakistan and China signed an agreement to “encourage, protect and create favourable conditions for investments by investors of one Contracting Party in the territory of the other Contracting Party”. In June 2010, Pakistan and China signed another agreement for nuclear cooperation under which China had to assist Pakistan in building two 340 MWe nuclear power reactors, Chashma 3 and Chashma 4. In November 2010, Pakistan and China signed a refreshed nuclear cooperation agreement through the Pakistan Atomic Energy Commission (PAEC) and China National Nuclear Corporation (CNNC) respectively, for the development of Chashma 5 nuclear power reactor. cooperation in trade, economy, transportation and energy sectors. In 2010, Pakistan and China signed an agreement, under which China had to supply four Azmat-class Fast Attack Carriers (missile) to Pakistan. Subsequently, the first of the ships, the PNS Azmat, was commissioned into service on the 24th of April, 2012. On the 23rd of December, 2011, Pakistan and China signed a currency swap agreement to enhance bilateral economic and trade relations. In October 2012, Pakistan and China signed a fresh agreement to further develop the Saindak mining project for the exploration of gold, copper and silver natural reserves located in District Chagai, Balochistan. 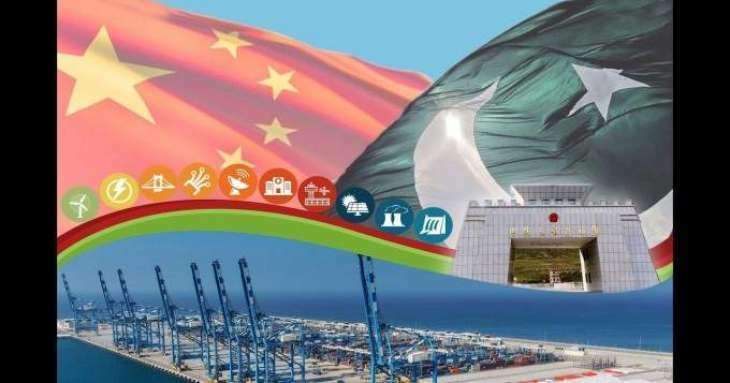 On the 18th of February, 2013, an MOU was signed between Pakistan and China to transfer the control and operations of Gwadar Port from the Port of Singapore Authority (PSA International) to China Overseas Ports Holding Company Limited. In March 2013, Pakistan and China signed an agreement under which China had to export two ACP1000 1100 MWe nuclear power reactors, KANUPP 2 and KANUPP 3, for the Karachi Coastal Power Project. On the 22nd of May, 2014, Pakistan and China signed an agreement to initiate a metro train project in Lahore, a 27 km railway track named Orange Line. Karot Hydropower Station of 720 MW. In March 2015, Pakistan and China signed an agreement under which China had to manufacture and export eight Chinese “modified Type 41 Yuan-class diesel-electric attack submarines” to the former, four of which were to be built at Karachi Shipyard and Engineering Works. In May 2013, Pakistan and China discussed the official proposal of the $46 billion China-Pakistan Economic Corridor (CPEC). Subsequently, in April 2015, Pakistan and China signed 51 MOUs and agreements, the most significant of them being the CPEC which is also a flagship programme of China’s One Belt One Road (OBOR) and the 21st century Silk Road initiative, stretching from China across South and Central Asia. Upon the completion of CPEC, China would be able to approach the African, West Asian and Middle Eastern markets conveniently and also be able to exert military presence in the Indian Ocean. Additionally, CPEC would provide the shortest route to China for access to the warm waters, linking Kashgar in landlocked Xinjiang Uygur Autonomous Region, to the Gwadar port in Arabian Sea. Pakistan would also gain from the $46 billion investment by China for development in energy projects and infrastructure works and the investment would also be helpful in addressing the deprivations and grievances of the people of Balochistan through the creation of extensive opportunities and prospects. Additionally, CPEC would also prove to be advantageous to Pakistan for the promotion of tourism and the projected increase in foreign direct investment (FDI). an agreement for cooperation in the establishment of NUML International Centre of Education (NICE). On the 10th of June, 2015, Pakistan and China signed an agreement under which China had to supply six marine patrol vessels with Transfer of Technology (TOT), to be used by the Pakistan Maritime Security Agency for coastal law-enforcement operations. infrastructure projects including water treatment plants. the formation of Havelian Dry Port. On the 30th of July 2017, Pakistan and China signed an agreement for the mining and exploration of uranium, taking another step towards closer nuclear cooperation for energy generation. On the 21st of November, 2017, Pakistan and China inked the Long Term Plan (LTP) for the China-Pakistan Economic Corridor (CPEC), where it was agreed to cooperate in areas of energy, trade, agriculture, tourism, finance and connectivity, amongst others. Additionally, China desired to use their currency Renminbi (or Yuan) for bilateral trade instead of the US dollar. poverty eradication commitment between China Overseas Ports Holding Company and Gwadar district government. On the 6th of February. 2018, Pakistan and China signed the Executive Programme of Cultural Agreement for further consolidating cultural relations and promoting people-to-people contact between the two states. On the 1st of June, 2018, Pakistan and China signed an agreement to acquire two more naval Type 054A Jiangkai II-class guided missile frigates (warships) from China, in addition to the two already ordered in the previous year.